Giving birth is a life-changing event, so you’ll want to choose a hospital that’s right for you and your growing family. But with so many local options, how is a very pregnant mother to choose? That’s why we’ve put together this guide - to highlight a few of the best hospitals in Indianapolis to have a baby. While IU Health offers multiple sites, the North campus received rave reviews. Tours are scheduled twice a month and can be arranged to fit busy schedules (evening and weekend tours are available). Many classes are also available including Lamaze, "Hypno Baby," sibling birth classes and refresher courses. The North campus is open to many birthing methods and will work with parents' special needs and desires. Water birth and therapy is an option and certified midwives and doulas are on staff. Doulas also offer Spanish interpretation as 20% of patients at Clarian require this service. 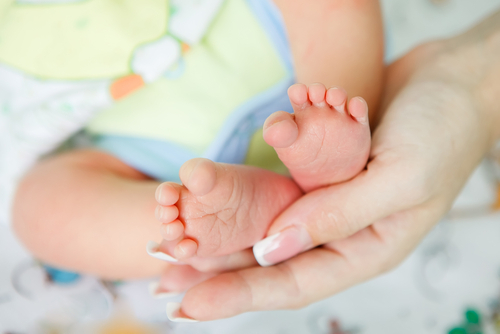 St. Francis Hospitals offer prenatal birthing classes, sibling classes and breastfeeding classes as well as tours of the OB units on Wednesday nights at 6pm. Fifteen private rooms for labor, delivery and recovery (LDR) are available, as well as 21 private post partum rooms and 8 private antepartum rooms. Visiting hours are open during labor, with 3 people allowed to visit at one time. Two people are allowed to attend deliveries (children must be 14 years or older to visit during this time). Despite open visitation, security in nursery and maternity areas is taken very seriously at St. Francis. Each baby is banded immediately after birth with ID bands that are compared to parents. They are also banded with a HUGS device which alarms if tampered with or if the infant is removed from the unit. Cord blood banking is often done at St. Francis, however, patients are responsible for making their own arrangements and supplying their own cord blood kits. Riverview Hospital of Noblesville offers tours every other Sunday at 6 p.m. Many classes are also offered - including a standard five week childbirth education class, as well as a condensed version that meets on one weekend on Friday night and Saturday morning. They also offer a positive positioning class that is geared towards mothers wanting to have a natural childbirth, a class named 'Mommy's Having a Baby' to help prepare siblings to welcome their new brother or sister, in addition to a breastfeeding class. Standard visiting hours are from 11 a.m. to 8 p.m. and visitation during labor and delivery are left up to the discretion of mothers and physicians. There are no specific restrictions regarding visitation and siblings are allowed to visit at any time before, during and after delivery. Despite open visitation policies, Riverview uses multiple security measures, including a locked, secure unit that is constantly monitored and the KidMatch system, which uses barcodes on bands that the mother and baby wear to ensure that they are matched properly. St. Vincent Hospital offers community tours at 6 p.m. every Tuesday night in the OB waiting room at Carmel. Private tours through the Monogram Maternity Program are available with a pre-delivery appointment with an OB nurse. Many classes from baby care to Lamaze and sibling classes are also offered. Patients deliver in an LDR (Labor, Delivery and Recovery) room, then are transferred to a new post partum room, where families enjoy moving to a new room after they have completed their delivery process where they focus on resting and learning to care for their newborn and selves the next couple of days. Visitation is open during labor and the amount of visitors is left up to the discretion of the family and the attending physician. On the South side of Indianapolis in Franklin, Johnson Memorial Hospital promises to treat your growing family like theirs. Private Labor-Delivery-Recovery-Post Partum rooms offers home-like accommodations that convert into state-of-the-art delivery rooms in a matter of seconds. Moms take advantage of one-on-one nursing care with experienced nurses that are staff certified in neo-natal care every year by Riley Children’s Hospital. Whether you find yourself on the North or South side of Indianapolis - or somewhere inbetween - there are quality hospitals within reach to help your family with this growing transition!